How did I miss that there was a PTN tonight? I'm seeing ZERO posts about it on this forum, and no chatter, either. I figured with odpt.com gone, everyone would be sharing more, not less. Was there a RSP? Was it themed around any anniversaries? LadyBarclay, Kerri780, TheMickeyMouseRules and 1 other person like this. LadyBarclay, mickeymousje, raikipins and 7 others like this. momin.ator and TheMickeyMouseRules like this. Kerri780, pretty Omi and pincrazy like this. And yes. I’m a SB collector. If y’all are Ozzyman fans, you know what destination I’m headed to next year. But, February SB Pins? Perhaps in time for Princess? Hmmm. Rumor is it might be Aurora for the half. LadyBarclay and MerlinEmrys like this. Edit: Check out @pretty_omi 's pics below for better ones! Oh that toad! I’m officially happy now! Kerri780, pincrazy and MerlinEmrys like this. krand1276, pincrazy and MerlinEmrys like this. mickeymousje, raikipins, watzshakinbacon and 5 others like this. Much Lion King, very wow. Oh no - that means there will be an Alice to go with the Queen of Hearts! Yikes! Love the little carded set of 5 Wonderland pins. And the Cheshire and Queen mood pins. Think those were the only ones previewed I'd need? And ooohhh that Captain Marvel pin is nice! MommaIvy, watzshakinbacon and MerlinEmrys like this. Most of us get our news from Disneypinsblog, who posts on FB, Instagram, and their own website. Moreover, they have been the one who "drops" the flyers while the official pin site is being revamped. Also, the official Disney Merchandise page does actually have both the fliers and the PTN info. But if you've only got so much bandwidth for checking things daily, maybe swap one out for DPB, because they really are an authority for the time being. Addicted to Alice Pins, Kerri780, chubs191 and 2 others like this. That got real hostile real fast. But if you've only got so much bandwidth for checking things daily, maybe swap one out for DPB, because they really are an authority for the time being. But don't snap at us because you didn't see a post.... :/ Hope was just trying to help. Whoa, whoa, whoa! Sorry, I thought I was being obvious, but I guess not... I know sarcasm and dry humor don't travel on the internet well. That was a joke- I thought the over-emphasized words and the quip about the bookmarks would make it more apparent. 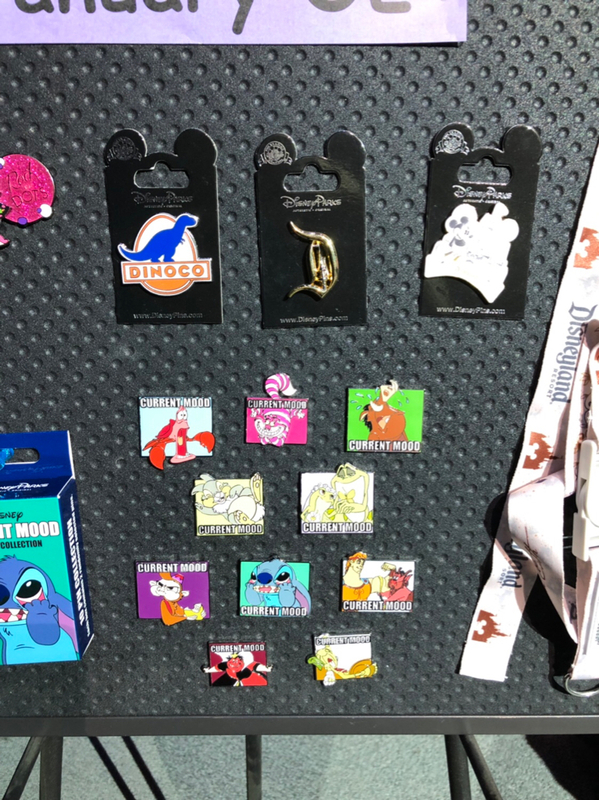 I mean, yes, I was disappointed no one thought to post in the main pin discussion about the PTN...we always have in the past, which is why I've never NEEDED the other pin resources. But the reply to her was more a jab at myself for not being spread out enough. I mean, I am in a few FB communities, as well, but as I said...I saw no chatter anywhere, which was just weird. There's usually more of a heads up, all the way around. ANYHOO, that was not at all meant to be hostile, and I guess it read poorly, to boot. Ajk, AshleyV, watzshakinbacon and 1 other person like this. Phew! that makes much more sense. Hahah! I was like "Geebus, where did this come from!" hahah!